CoreDial, LLC and its employees, from our inception back in 2005, agree on a Shared Vision that includes a focus on social responsibility. Habitat for Humanity International was founded in 1976 by Millard and Linda Fuller. Today, Habitat for Humanity is a true world leader in addressing the issues of poverty housing. Nearly 2 billion people around the world live in slum housing and over 100 million are homeless. Habitat for Humanity is needed to help eliminate poverty by providing simple, decent shelter to those in need. Families left homeless by natural disasters, war and civil unrest often face dire housing situations as they struggle to rebuild their lives. Habitat for Humanity’s Disaster Response program provides shelter and housing solutions to help these families recover. Cradles to Crayons provides children from birth through age 12, living in homeless or low-income situations, with the essential items they need to thrive – at home, at school and at play. We supply these items free of charge by engaging and connecting communities that have with communities that need. Cradles to Crayons collects new and nearly new children’s items through grassroots community drives and corporate donations. Donations are then processed and packaged by volunteers, and are distributed to disadvantaged children across the state through a collaborative network of social service agencies and school partners. 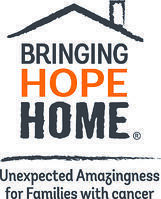 Bringing Hope Home is a non-profit organization that provides Unexpected Amazingness to local Families with cancer through financial and emotional support. Through our Light of Hope Family Grant, we offer a one-time grant to pay essential household bills for Families with cancer.